Want to be a Servant Leader. The servant leader dedicates herself to uplifting followers, bringing them closer to achieving their full potential. The end goal of servant-leadership is for those served to grow and develop as a player, as a teammate, as a worker, and as a person. Successful leaders are aware that leadership is really as much, if not more, a relational process as it is about vision and mission. For these leaders business is about more than simply getting people to perform tasks effectively. These leaders are caring stewards of people. It may seem hard to believe today, but there was a time not too long ago when people were treated as “hired hands” or as a “cog in the wheel.” However, this outmoded approach to managing people has fallen into disfavor. Yet most people will tell you few leaders are adept at the human side of leadership. Here’s the catch: people bring their lives to work. As much as some leaders want to dismiss this human factor, they do so at their own peril. Simply, the human side of leadership is all about relationships, and a healthy relationship demands that we embrace the total person. Great coaches know how to bring out the best in those they lead. As you will see, Jenny Boucek’s ability to capture the hearts and minds of her players creates a sense of loyalty and trust that moves players to passionately follow her. To make a lasting difference it matters how well you work with others—how you serve others. Boucek has been involved in the WNBA from its very beginning; first as a player, now as a coach. Boucek began her coaching career as an assistant with the WNBA’s Washington Mystics. Her leadership journey includes several stops as an assistant coach prior to taking the lead role as head coach with the Sacramento Monarchs from 2007 through 2009, and now as the Associate Head Coach with the Seattle Storm. One clear leadership trend over the past 20 years has been a shift away from command and control, where employees serve the leader, to the more compelling practice of leaders serving their people. In sports and business, it’s become a standard leadership responsibility to care for those you lead. The servant leader dedicates herself to uplifting followers, bringing them closer to achieving their full potential. The end goal of servant-leadership is for those served to grow and develop as a player, as a teammate, as a worker, and as a person. Servant leadership emphasizes the role of the leader as one who paves the way and provides support allowing followers to function at their best. The leader creates an environment that cultivates and nourishes the growth and development of each team member. As a servant leader Boucek pays attention to each individual’s needs for achievement and growth by acting as a coach, mentor, facilitator, counselor, confidant, and teacher. To develop others to their full potential requires a special relationship. 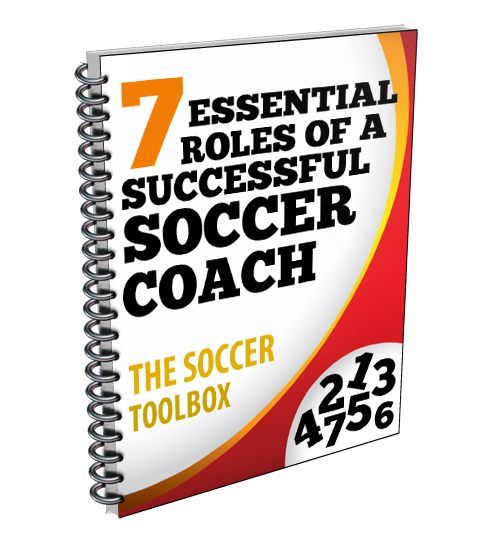 Boucek gives players the practical tools and coaching they need to be successful. She is intentional in her actions, creating an individualized framework for relating to each player as an individual. Whether you are developing a new team or looking to reenergize a team of veterans, relationships matter. In an increasingly interdependent world, it is essential that leaders discover how to build deep, trusting relationships with those they lead. More than ever, today’s organizations demand that people come together to work on increasingly complex projects and solve confusing dilemmas while operating in an environment of dizzying ups and agonizing downs. We no longer have simple problems. Rather, the day-to-day challenges we face in our groups, teams, companies, and communities are quite complicated. Whether your business is coaching basketball or leading a sales team, developing your people is vital to winning. Indeed, leaders must find ways to elicit the best from people—their talents, intelligence, and passions—so that they can successfully make positive changes in the midst of an ever-changing world. To do this demands prioritizing people over products or processes. For Boucek, leadership is not simply about winning—it’s about improvement. It’s about making people feel important, not inferior. “My emphasis is not on winning, but on helping each player become their best. I’ve found that negative emotions such as fear or insecurity are alleviated when players focus on becoming the best they can become. Players seldom win by comparing themselves to other players. The best organizations, companies like Microsoft, Google, GE, and REI, understand that success depends on creating an environment where everyone can grow and develop into their best selves. These organizations nurture a culture where people are valued and are presented opportunities to learn, to improve, and to enjoy the entire work experience. Great companies and teams focus on developing and leveraging the unique talents and skills of its members—the source of sustainable competitive advantage. Leadership is not a basket of tricks and tactics. Rather, it depends on the subtle personal qualities one possesses, the values and beliefs one holds and uses to guide the decisions they make, and the bold actions one takes to get the right things done at the right time. If there is one underlying principle many great leaders share, it is this: the key to effective leadership is prioritizing people. After all, it is people that produce the results. Boucek is a remarkable coach and an outstanding leader. She inspires others through nurturing highly personal relationships. Her leadership and passion has a rippling effect. This past season the Seattle Storm, minus its two best players, maximized its potential by each player working everyday to transform themselves and each other. Taking to heart Boucek’s philosophy of a better me for a better we. Prior to the first game of the season the team’s two stars went down with injuries. For most team’s this would signal a quick end to high expectations for the season. Not for Boucek and her team. Winning teams have players who make things happen. And for Boucek and the Seattle Storm, prioritizing people and building a “better me” had a positive impact on every player and the team. When we think about a great team, invariably the image we conjure up contains a great player. Perhaps it’s true that great teams have a great player. But when we dig deeper we find such things as teamwork, trust, cohesion, and commitment to one another as driving factors in a team’s success. Our tendency is to assign greatness to players that achieve great results—produce statistics that provide evidence of skill, ability, and performance capability. But it is the way people work together to generate a collective product, accomplish a shared mission, and commit to one another that is the essence of a team. The long-haul winners are those organizations that rely on true teamwork. As the quote from Mead advises, a richer culture will emerge when we weave together diverse human gifts. That process of weaving together diverse human gifts is the essence of a team’s work. There are no magic potions for success, but teamwork sure does come close. The process of weaving together the unique personalities and skills is the domain of coaching. For Boucek, the first task of leadership is to promote teamwork. The striking difference between good teams and great teams resides within its indigenous leadership. The nature of team sports is such that the stronger leaders are those with highly developed interpersonal skills, possess emotional intelligence and truly care about those they lead. In general, the more mature players are those with the insight and experience to navigate the tumultuous environment of high performance. Leadership expert John Maxwell asks, “Everyone knows that teamwork is a good thing: in fact, it’s essential! But how does it really work? What makes a winning team? Smart business leaders will do well adopting Boucek’s idea of indigenous leadership. Leadership from within is a good start to answering Maxwell’s questions. The Black Eyed Peas front man Will I. Am, following his attendance at White House Gala, made an appearance on the esteemed weekly political show Meet the Press. The moderator, David Gregory, asked Will how the 2014 star-studded political gala differed from the one he attended in 2008. Here’s an enlightening question: how does the external environment influence your organization? On the one hand, in a broad sense, our culture is vast and complex. On the other hand, the ways in which we now relate to one another has changed tremendously as a result of the proliferation of such things as the use of the smart phone that Will I. Am experienced at the White House. Far too often people are oblivious to the physical environment they’re in, because they’re somewhere else mentally. Many social commentators today express concern over the lack of team players to be found in the youth cohort many call Generation iY; those youth that have grown up with the Internet and whose lives are defined by technology. If we are to harness the capacity of this generation we’ll need to understand and learn to lead this group in a different manner. Author, researcher, and youth leader Tim Elmore coined the term Generation iY. Elmore did so because “Theirs is a world of the iPod, iBook, iPhone, iChat, iMovie, iPad, and iTunes. And for many of them, life is pretty much about ‘I.’ And these young “I” focused people do graduate and go to work. Social scientists are in agreement: human behaviors are to a great degree shaped by the environment and the actions of the people around them. It is crucial that as a leader you explore and understand how the external environment is influencing your environment, your organization, your team. Let’s face it, the pace of change has taken over our lives. This is partly because of the ups and downs of our economy; but also the relentless technological advances that continue to embed themselves into the world we live in. It cannot be overstated that building and maintaining a winning organization in this environment is no easy task. In today’s organization, the capacity to lead others, to influence the way people think, feel, or act is crucial for high performance. And the best leaders do this authentically. They truly care about the long-term outcomes of their actions, especially when it comes to people. For these leaders it’s about being the kind of person that others want to follow. For Boucek it’s about acting with strong values and integrity, being someone others can count on—especially when it counts. Leadership is also about expressing belief in others so strongly that their appreciation of your belief in them inspires them to rise to new heights. People have a deep-seated need to be valued, to know that they matter—that what they do has meaning. People need to feel that they are more than a cog in the wheel, a replaceable part that simply shows up for work and collects a paycheck. If the human spirit is shut down, how can your team—your company—be competitive and successful? Outstanding teams are more than just a group of people working together. You see, building a great team and winning championships is tough to do. It takes a clear sense of direction, passion, commitment, clearly defined goals, and clearly defined roles. High performing teams value the contributions of each member in pursuit of a shared purpose. In this context the exceptional team player is willing to commit to team goals even if they conflict with her personal goals.. This emphasis on creating results manifests itself in a very simple team reality: when players accept, support, and encourage each other they improve the team’s performance. Together, they embark on a journey in pursuit of worthwhile goals, and along the way they develop a deep commitment to building a great team. Jenny Boucek was one of the best coaches that I had in my career. Some words that define her are: passionate, dedicated, hard working, competitive, knowledgeable, great leader, intelligent, charismatic…all important characteristics to succeed in sports and in life. The thing that I was most impressed about Jenny, is that at such a young age and with big responsibilities she was able to teach us not only to be the best players that we could possibly be, but also the best people that we could be. She used basketball to teach us about real life situations and showed us how they are both related, in a way that made us more mature. I can honestly say that Jenny did not only developed me as a player, but most importantly, I feel like I’m a better person, friend, leader, daughter, sister and human being. So thank you Jenny for your dedication to this game we both love (basketball), but most important, your mission to be a good person in this world. You have definitely rubbed off on me in an amazing way and I will be forever grateful. In 1998, Penicheiro joined the Sacramento Monarchs as a rookie, finishing third in the WNBA Rookie of the Year award voting. She is a four-time WNBA All-Star. Penicherio is the all-time WNBA leader in assists and holds the WNBA single-game record for most steals with 10. Penicheiro is well known for her consistently flashy style of play. In 2005 she helped the Sacramento Monarchs win their first ever WNBA championship title. Most recently head coach, Seattle Storm. Boucek served as an assistant coach for the Storm under Anne Donovan during the 2003, 2004 and 2005 seasons and was an integral part of the 2004 WNBA championship team. Additionally, Boucek served as the head coach for the now defunct Sacramento Monarchs and compiled a record of 40-41 during her two-plus seasons (2007-2009) with the organization. With her title in Sacramento, Boucek became the first person in WNBA history to be a player, assistant coach and head coach in the league. Boucek was an advanced scout for the NBA’s Seattle Supersonics, the first woman to hold that title within an NBA organization. After beginning her WNBA coaching career began in 1999 as an assistant with the Washington Mystics, Boucek spent three seasons as an assistant with the Miami Sol. She played professional basketball for two years before joining the coaching ranks. In 1997, the WNBA’s inaugural season, Boucek was a member of the Cleveland Rockers. Boucek also played in Iceland in 1998 and was voted the country’s best player after averaging 23 points, seven rebounds and six assists. She returned to Cleveland for the 1998 season but was forced to retire due to a career-ending back injury. A four-year starter at the University of Virginia (1992-96), Boucek helped lead the Cavaliers to four regular-season ACC Championships and three NCAA Elite Eight appearances. She was a two-time GTE Academic All-America team member and two-time ACC selection. Boucek twice earned team Defensive Player of the Year honors and finished her career at Virginia as a member of the 1,000-point club. She also competed in the U.S. Olympic Festival in 1993.